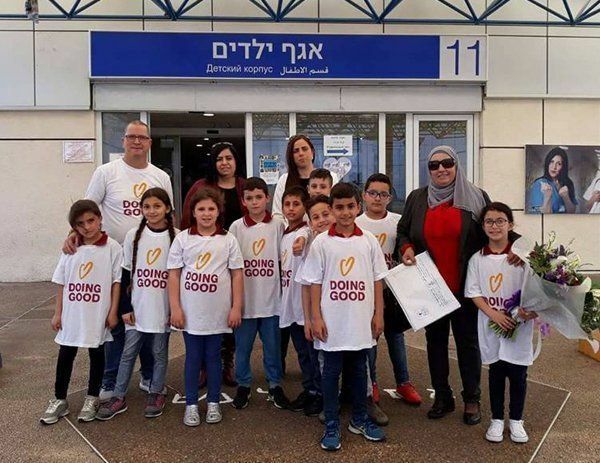 Good Deeds Day in Israel took place on March 13th. Galilee Medical Center was thrilled to welcome visitors of all ages to the hospital! Guests came from many different organizations and communities, and they brightened up the day for our patients with small acts of kindness, gifts and just a friendly smile! 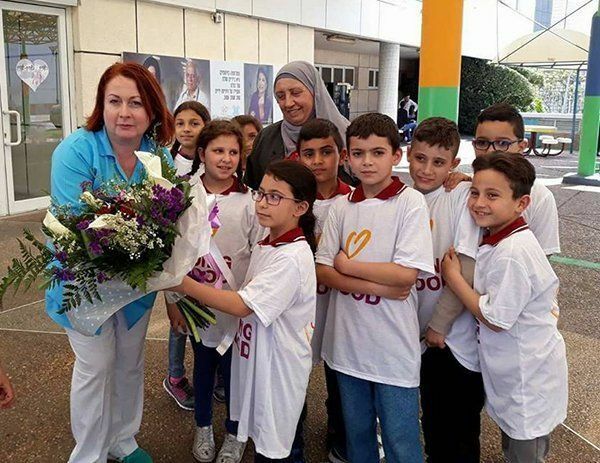 Third graders from Abadl Alaziz Amun Elementary School in Deir al-Assad were among our Good Deeds Day visitors. They held their own fundraiser leading up to the day and raised $1,400 for the Pediatric Department from their Tag Sale! In addition to their support of our patients, the students even showed apprication to the GMC staff and brought bouquets of flowers for them. 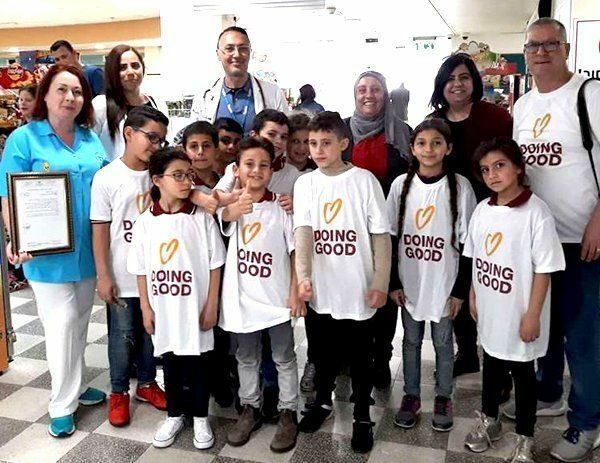 A GMC Pediatrician, Dr. Hussein Dabbah, who is also from Deir al-Assad, and Head Nurse, Albina Gelfand, were able to greet the children and thank them in person from their contribution and support. It was a wonderful and heartwarming day for all!